The focus of early drug development has been the submission of an Investigational New Drug application to regulatory agencies. 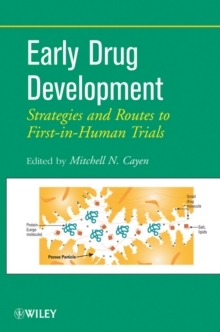 Early Drug Development: Strategies and Routes to First-in-Human Trials guides drug development organizations in preparing and submitting an Investigational New Drug (IND) application. By explaining the nuts and bolts of preclinical development activities and their interplay in effectively identifying successful clinical candidates, the book helps pharmaceutical scientists determine what types of discovery and preclinical research studies are needed in order to support a submission to regulatory agencies.